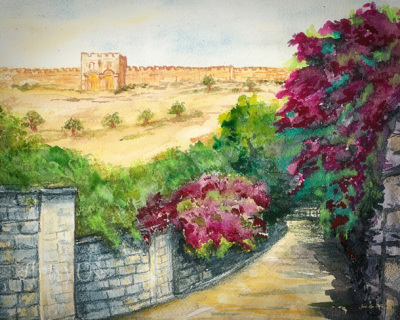 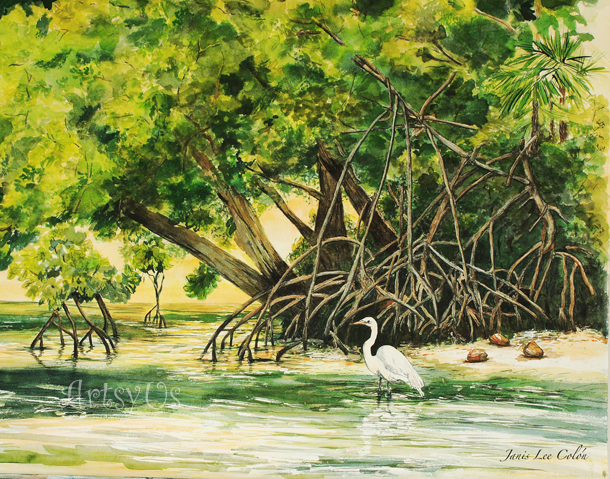 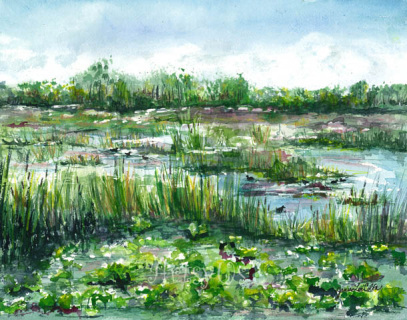 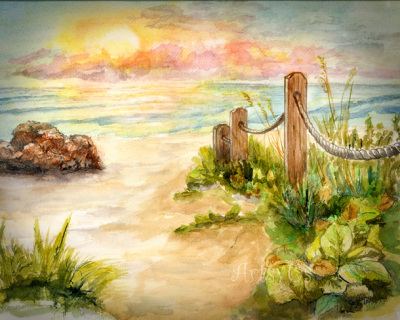 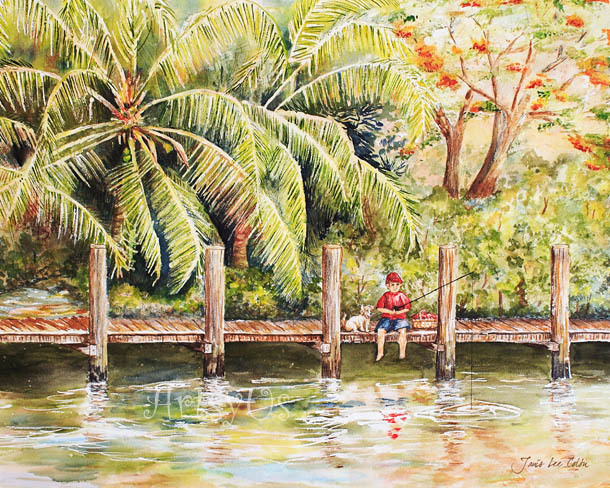 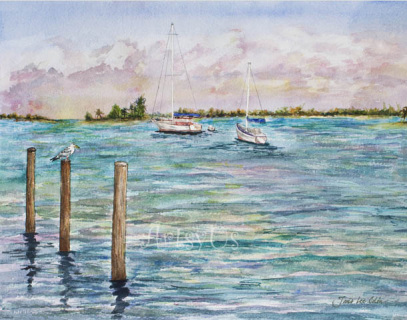 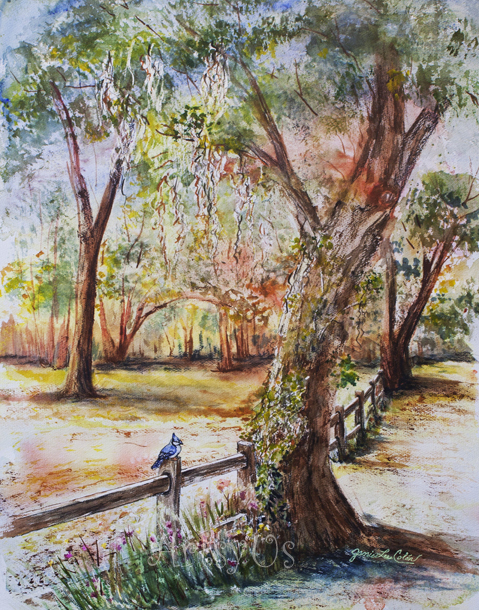 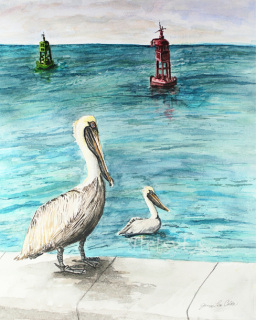 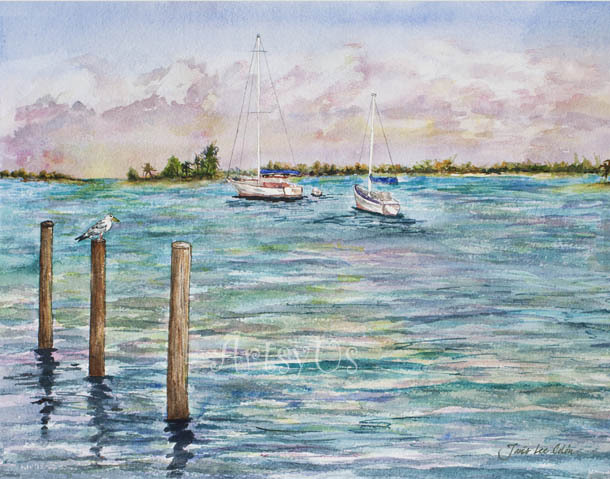 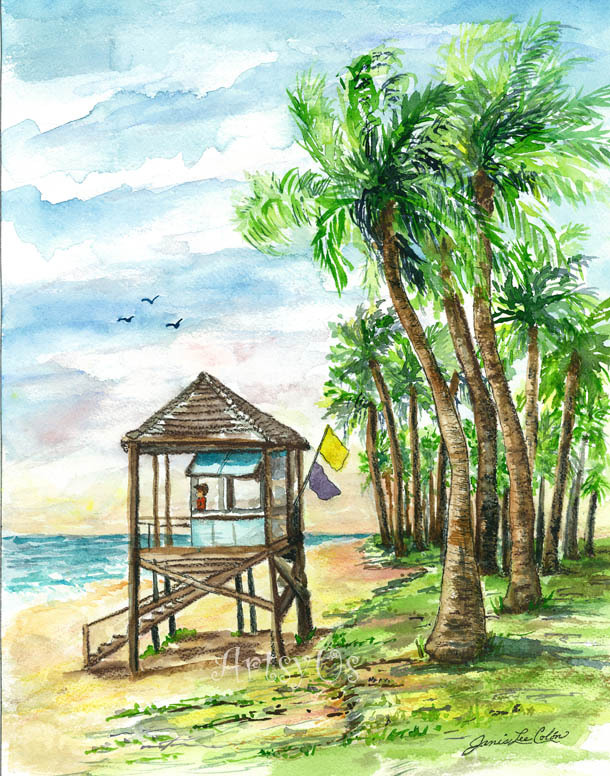 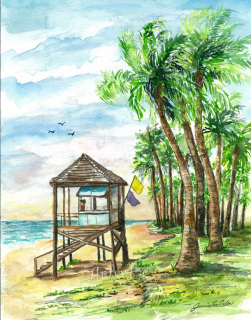 A print of my original watercolor painting, inspired by a morning by the river in Fort Lauderdale, FL. 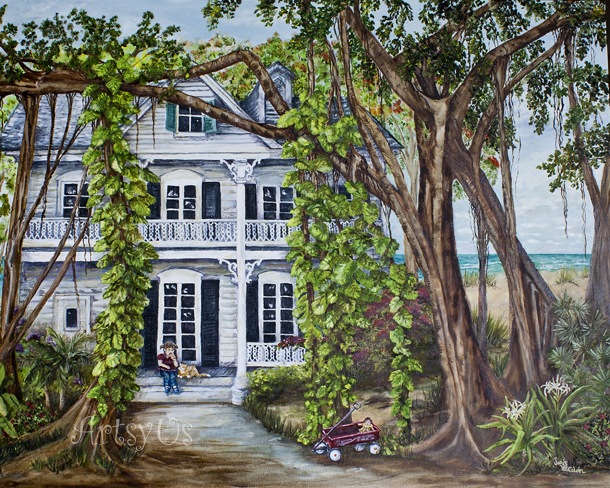 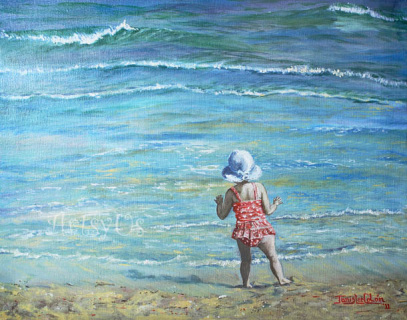 A print- of my original oil painting, inspired by my granddaughter's first step into the ocean in Florida. 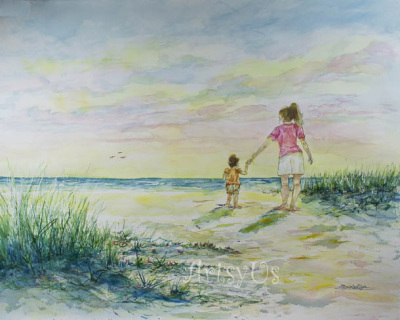 A print of my original watercolor, inspired by a morning at the beach with my daughter and granddaughter. 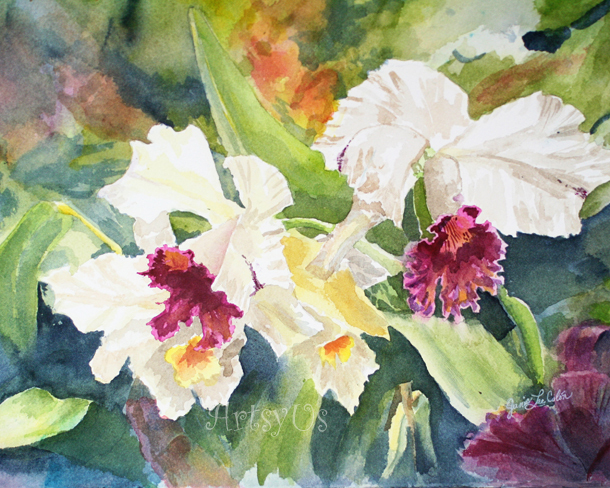 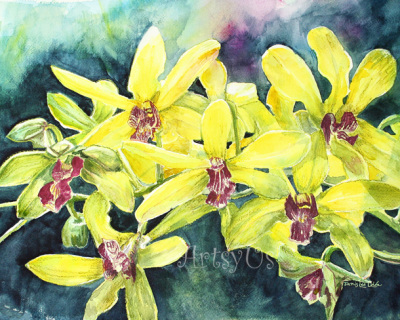 A print of my original watercolor, inspired by the beautiful yellow orchids that bloom in my yard!